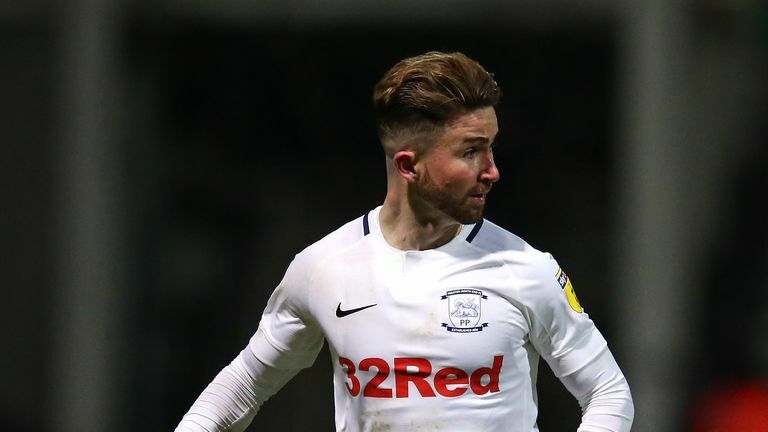 "Given the opportunity, I think I can bring goals"
Sean Maguire is desperate to get a chance to prove he can score goals for his country and fill Robbie Keane's boots. Keane scored a record 68 goals in 146 appearances for his country but since his retirement from international football in 2016 the team have failed to find a prolific replacement. The four strikers in manager Mick McCarthy's squad - Maguire, David McGoldrick, Aiden O'Brien and James Collins have only made 14 appearances between them which has resulted in a single goal. However, Preston's Maguire is confident he can score goals as he attempts to prove a frustrating run of hamstring injuries is behind him. He said: "I think when I'm playing, when I'm fully fit, my record speaks for itself. But when I have put the Irish jersey on, I don't think I've done myself any justice. "I've only had one start and a couple of cameos, but when I started this time last year against Turkey, I didn't particularly play well at all and didn't play up to the standards I set myself. "But given the opportunity, I think I can bring goals." Keane is now an assistant to Republic of Ireland manager Mick McCarthy and the pair face the challenge of finding players to score, with the team having scored only four times in the whole of 2018. Maguire says Keane's presence with the team is having a positive impact. "It was my first time meeting Robbie, coming in on Sunday and he brings that aura with and you want to learn from him straight away," Maguire said. "It's just great to be involved with a player of his stature, and I've no doubt that even in the space of these 10 days being involved with Robbie, I'll probably go from strength to strength and kick on as a player. Ireland's Euro 2020 qualifiers gets under way in Gibraltar on Saturday March 23, and the management and players have been keen to stress they cannot afford to disrespect their opponents despite their lowly status. The Preston striker added: "By no means should we underestimate Gibraltar - they won their first game last year in the last campaign, so we will be fully focused to start the campaign with three points." Maguire will hope for just his second Ireland start a year to the day after his first, after a succession of serious hamstring injuries hindered his chances of further caps. "That very first hamstring injury came a year and a half ago and I've had three serious ones since. Touch wood, I haven't had one since the Northern Ireland game in November, which is good and I feel like I'm nearly back to my best."